We encourage you to request service with Central Garage Doors as soon as possible after noticing a repair issue in San Jose, CA. Even if the problem seems minor, it can quickly develop into something that is larger and more expensive to fix. You should avoid trying to fix the door yourself if it makes strange noises or won’t open properly. That is because commercial garage doors are complex and can be dangerous when you don’t understand how they operate. A simple mistake can cost you time and money as well as put you and others at risk of injury. Our experienced technicians will perform commercial garage door repair according to industry standards. An aging garage door often shows signs of wear before it officially need repairs. Investing in preventive maintenance helps to prolong the life of the door in addition to saving your money. The last thing you want is to be stuck with a non-functioning door since this is unsafe as well as a poor reflection on your business. Like many companies before you that have relied on Central Garage Doors to make their garage doors safe and functional, you can depend on us to do the same for you. 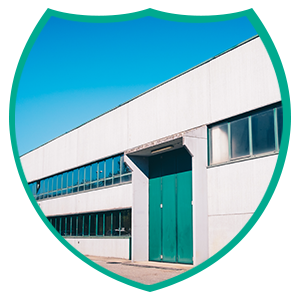 Garage doors for businesses include numerous moving parts that all work together to raise and lower the door. These parts are quite complex. If just one of the components isn’t working correctly, it affects the entire operation. For this reason, it is essential to have our specialists inspect your commercial garage doors on a regular basis. They will make sure that it functions as it should and that it is simple and safe for everyone to use. When we complete an inspection of your commercial garage door, Central Garage Doors will investigate every part that affects its operation. This includes the cables, tracks, every piece of hardware, springs on both sides of the door, and the remote garage door opener. Our technicians search for something unusual that indicates serious signs of wear and potential breakages. To understand how your garage door operates, you need to look beyond how it functions as a whole. This is something that comes naturally to our service employees. They evaluate every piece and then inform you of any needed repairs. We also perform routine maintenance at each appointment, including adding lubrication where needed, replacing worn out parts, adjusting springs tension, and fixing any loose bolts. This increases both the efficiency and longevity of your garage door. A garage door can break for many reasons, including as the result of an accident or normal wear from continued use. Regardless of the specific reason, having a garage door that doesn't open or close normally can complicate your life and cause legitimate safety and security concerns. Central Garage Doors has developed a reputation as an industry leader in providing same-day garage door repair service. The day you call, our repair technicians arrive at your home to quickly assess and fix the problem. We are always available to help you in urgent situations, no matter the time or day. 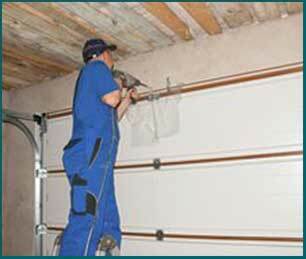 Our experienced service technicians can repair nearly any brand of garage door with any type of issue. 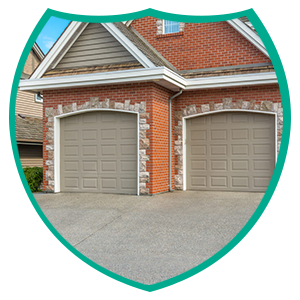 As our customer, you can depend on Central Garage Doors to ensure that your door operates in prime condition. The track on your garage door enables it to open and close routinely. When it comes off the track, it may not work properly or work at all. Some reasons this happens is that garage door cables break accidently or start to fail after years of everyday use. Weather conditions, such as dampness or extreme heat or cold, can also cause a problem with garage doors going off the track. Broken cables typically occur on only one side of the track and happen most often as the door is rising. Other reasons for a garage door leaving the track is the door can't close because something is blocking it and forces it to leave the track. No matter how it happens, if your garage door is no longer on track or it won't work as it should, it's time to contact a professional garage door expert in San Jose, CA for help. Central Garage Doors is experienced at fixing garage doors that have gone off their tracks. We quickly put them back on track so that the garage door operates as it should. When your garage door goes off the track, avoid trying to repair the problem yourself. Most homeowners don't have the necessary skills to perform the repair correctly. When a garage door that has gone off-track isn't properly repaired, it can create a dangerous situation for you and put your garage and its belongings at risk. While we understand that you need it repaired right away, trying to do it yourself will most likely make the problem worse. 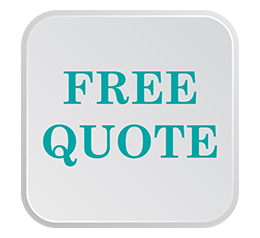 Fortunately, our team of garage door repair experts is just a phone call away. We will arrive promptly to fix the track problem and make sure that the entire area is secured.